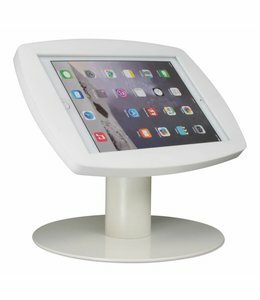 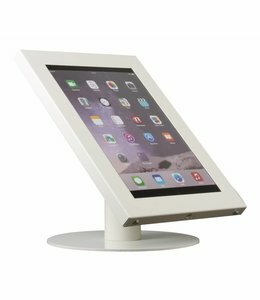 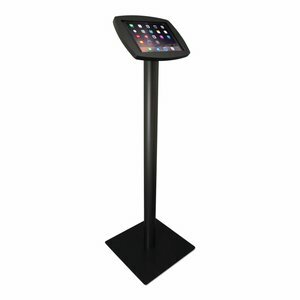 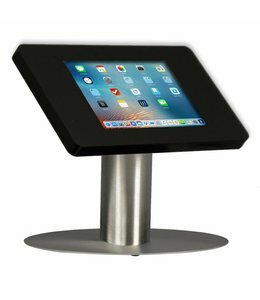 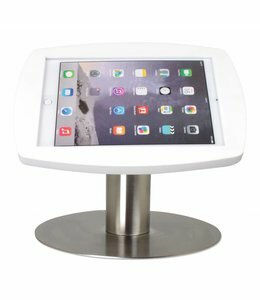 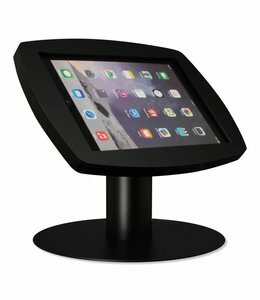 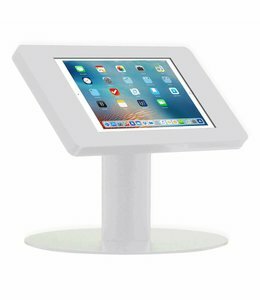 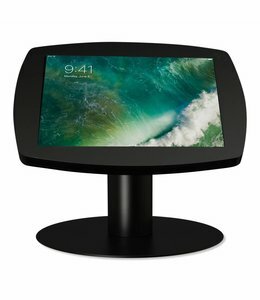 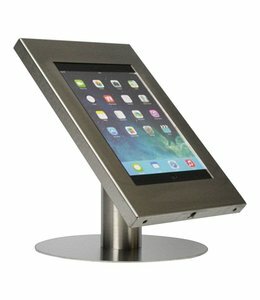 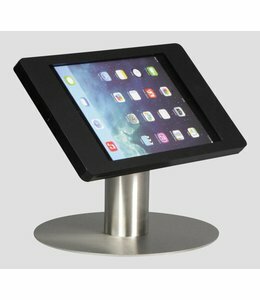 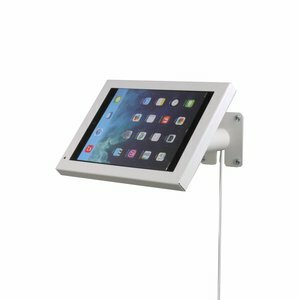 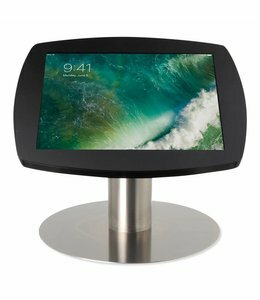 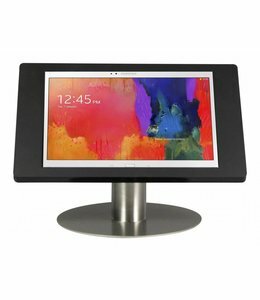 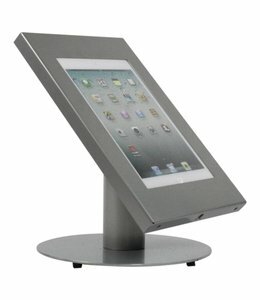 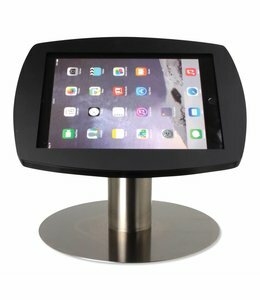 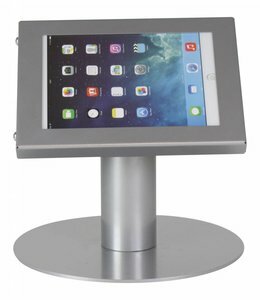 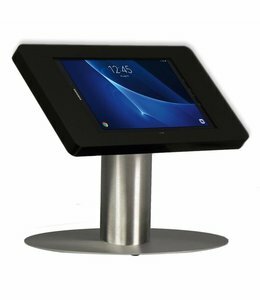 Tablet desktop stands for iPad and tablets. 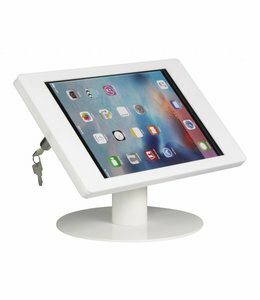 We offer great looking and secured solutions for your digital devices. 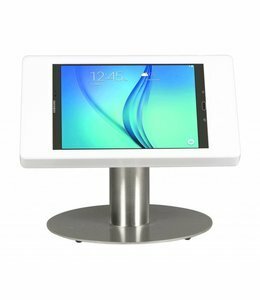 The cassette is mounted on a sturdy metal base which is available in white, black, silver grey and stainless steel finish. 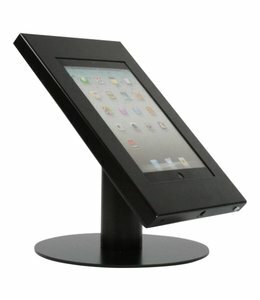 The tablet holders are made in sturdy metal or in refined acrylic. 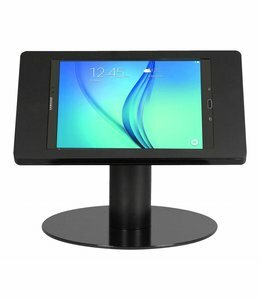 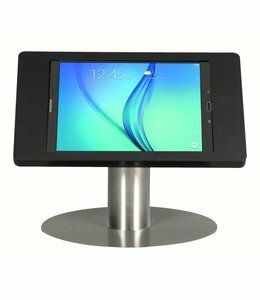 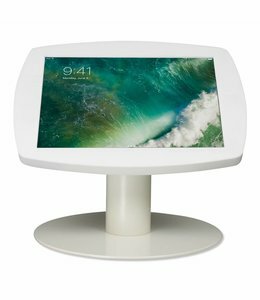 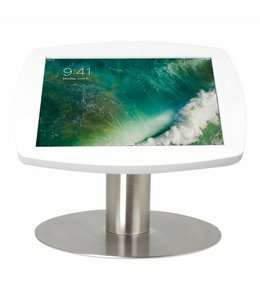 Tablet Desk Stand especially developed for the Samsung Tab E 9.6. 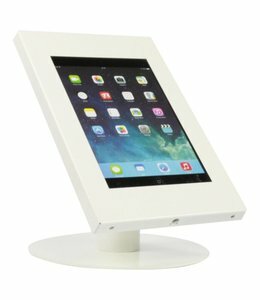 Acrylic casing, lock included. 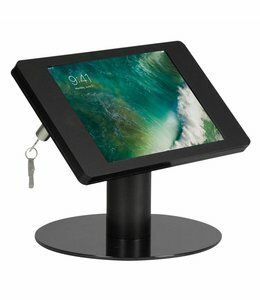 iPad Desk Stand especially developed for the iPad Pro 10.5". 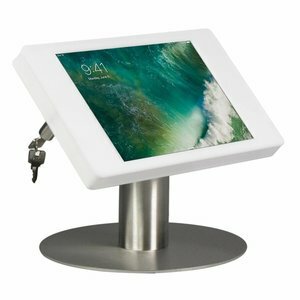 Acrylic casing, lock included.